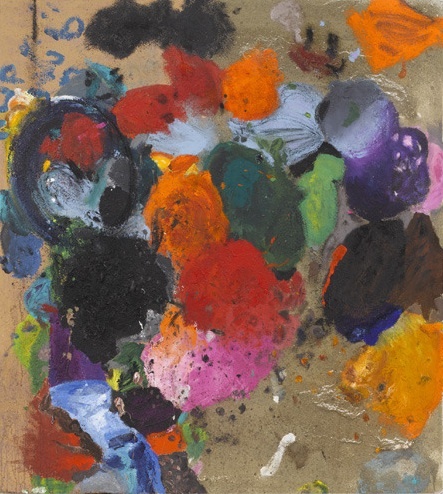 James Kalm visits the exhibition Jim Dine: New Paintings at Pace Gallery, New York, on view through March 23, 2013. Kalm notes: "Dine's new works are a distinct departure form his previous imagistic works where he based his compositions of a frontal view of a heart or bathrobe. Along with a plunge in to pure Abstract Expressionism, Dine adds the element of sand to give these pieces the texture of a stucco wall or colored asphalt. Despite the nubby facture, the artist retains a delicate, and rich coloristic sensibility."